Hello Friends! Sharing a super easy recipe that I love making for my family on a whim. If you're anything like me you love having those goto recipes that you can make on a whim or when you just cant think of anything else to make for dinner. This recipe takes very little prep work and is perfect for freezer cooking or making in your crockpot. Add a layer of your choice of pasta sauce to the bottom of your baking dish. Bake for 45 minutes on 350. Ten minutes prior remove the foil and allow the top to brown to your desire. Wow! What a great looking dish! 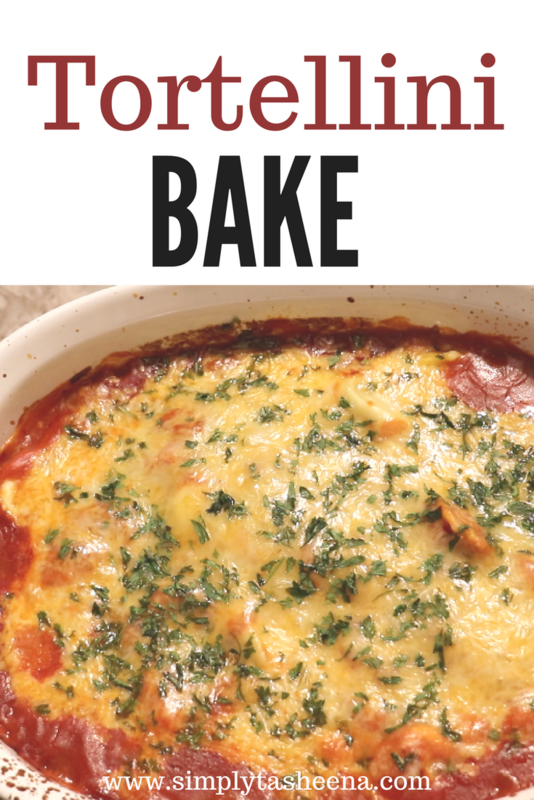 I love anything that has tomato sauce and cheese so I look forward to trying this recipe. Thanks for sharing! This dish looks yum! The cheese is mouth watering. I will definitely try making this since it is so easy and yet absolutely tempting. I need to try this out. I am a huge fan of pasta and this looks so delicious. I have all the ingredients for this! I might try this for dinner tonight. I loooove a good pasta recipe! Thanks for sharing! Wow this is seriously mouth-watering. I love everything with tomato sauce! Thank you for sharing! You can never go wrong with pasta, especially tortellini. This looks simple and yummy for my tummy. Lol. Looks so delicious! And seems like its super simple too! Thanks for sharing! I wouldn't have thought of baking tortellini but this looks amazing. It's one of my favorite pastas. What a simple yet delicious dish! I'd love to add this one to our bi-weekly dinner schedule. This sounds great and super easy very few ingredients!!! Im all for the cheese lol ill be sharing it on my facebook tysm. This looks incredibly delicious and easy to make. Thanks for sharing the recipe with us. Can't wait to try!